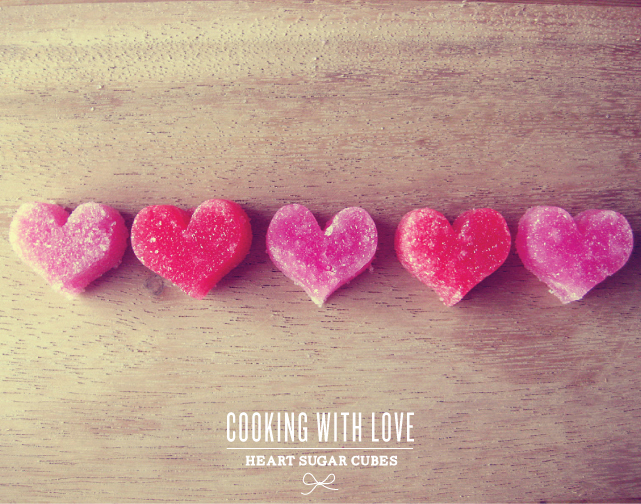 While scouring the web for fun Valentine ideas, I came across this sweet and simple recipe for making your own heart shaped sugar cubes... I mean cute or what?!? It's the perfect way to brighten anyone's day... simply pop one in your coffee or tea and I dare you to have a bad day after that... dare you! 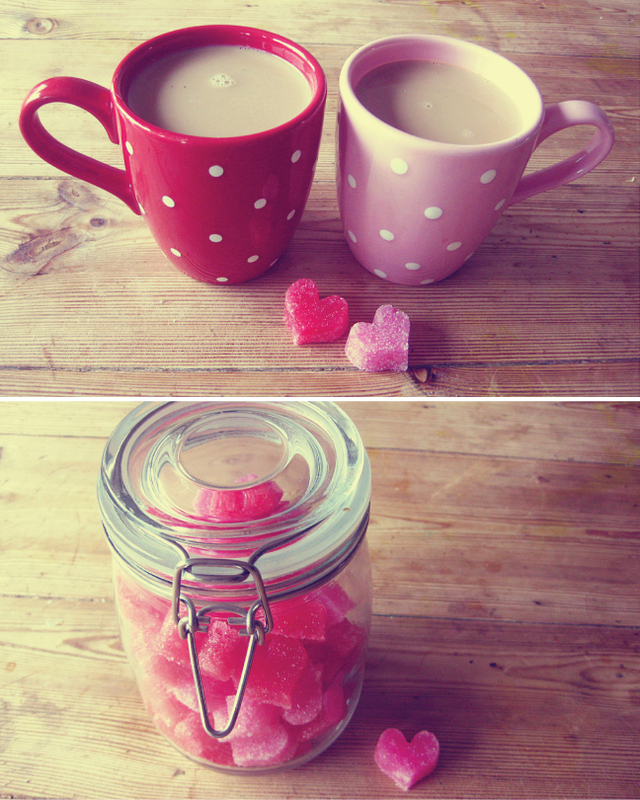 To spruce things up a little, I decided double the recipe and make both red and pink ones... fancy, I know! But on a serious note, these little guys took so little effort to make, I can see them quickly becoming a staple around here. 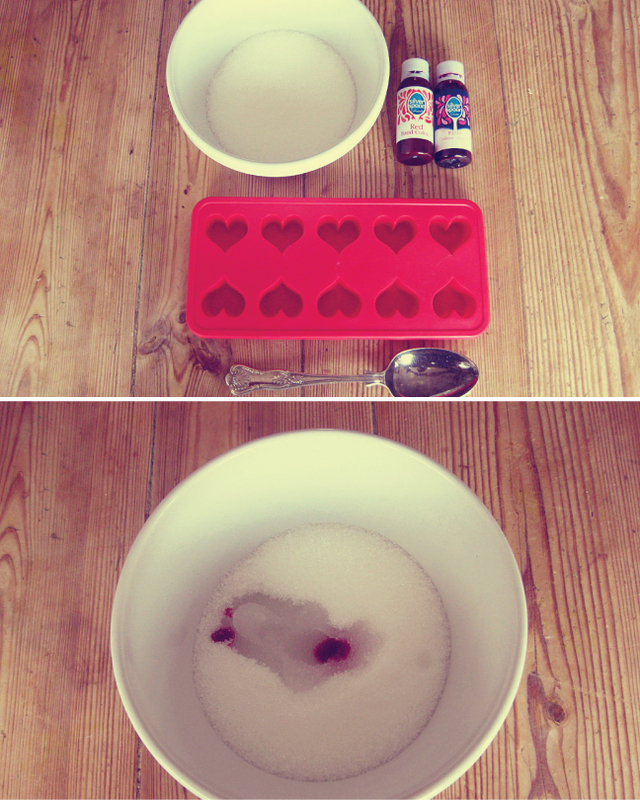 Combine the sugar, water, and food coloring in a bowl and mix well. 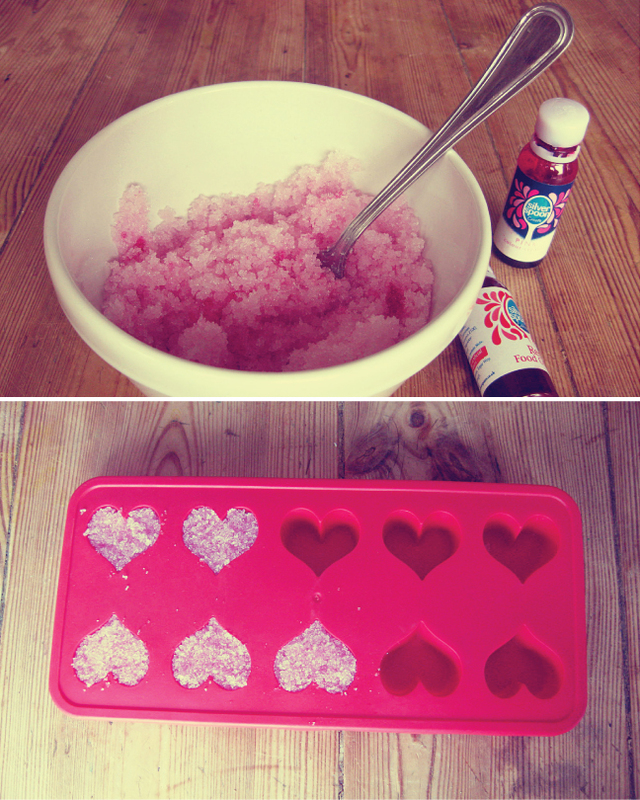 Add more or less drops of food coloring to get desired color. Spoon into the silicon tray, smoothing out the tops. You should fit roughly 1 tsp. 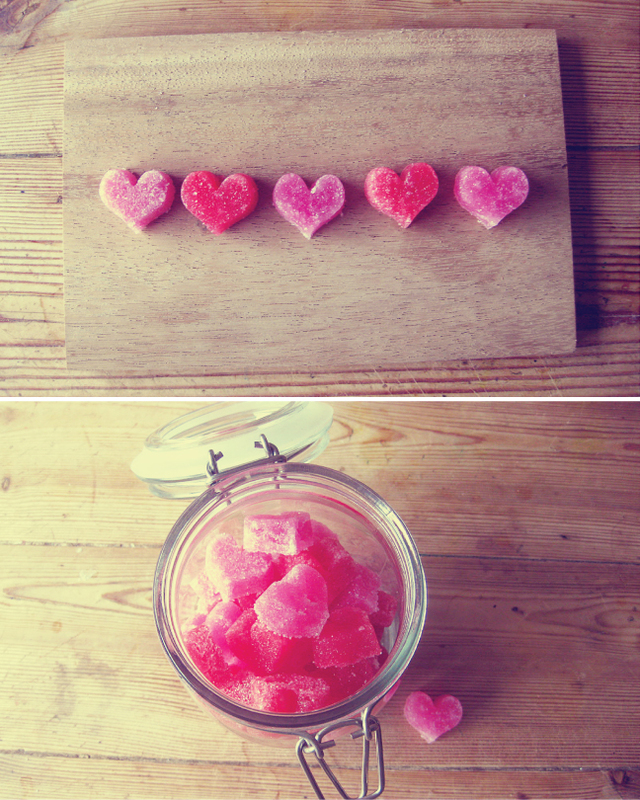 of sugar per heart. Microwave for 50 seconds in 10 second increments, gently smoothing out and patting down the sugar as it's melting. About half way through, you can either leave as is (the sugar would have melted down) or you can add about 1/2 tsp. more to each heart to reach the top again. I did both so I ended up with some shorter and some taller hearts. Smooth out the tops after last microwave session and let cool for 10 minutes before popping them out... enjoy! where did you find your cute little cube tray? I want to find a shamrock one for St. Patty's Day! This is super cute!! I got mine at a shop called Butlers in London :http://www.butlers-online.co.uk/ But I've heard you can get them at Target or Amazon. I love the shamrock idea! 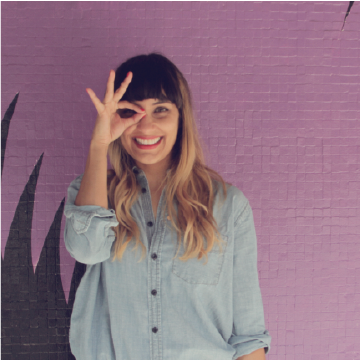 -jb.